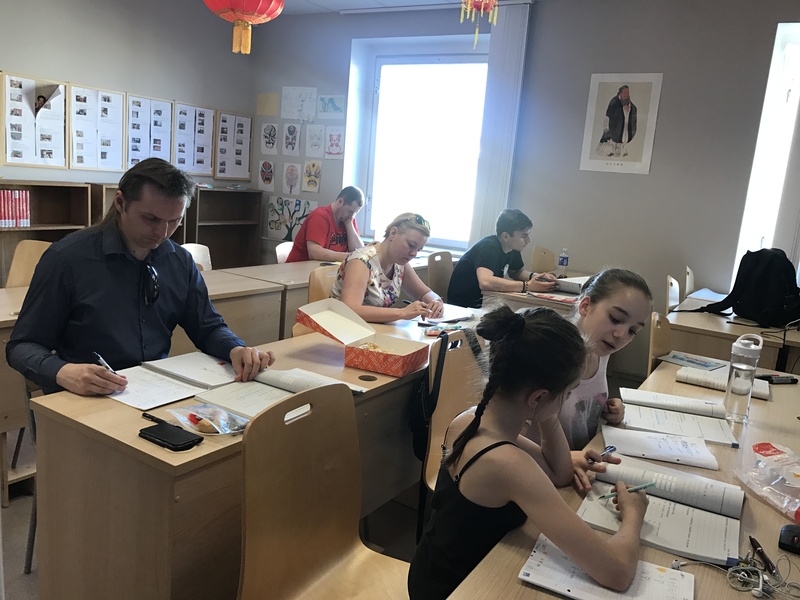 In September 2016, two lovely German girls came to the advanced class for adult of Confucius Institute at the University of Latvia , the 12-year-old elder sister Amira (Yue Liang) and the 8-year-old younger sister Anais (Xing Xing). Although they are young, their level of Chinese is quite good and they are not lost to other adult students at all. In class, they are always very active and full of positive energy. They often sit together to discuss and study with each other. The elder sister has a higher level of Chinese and often helps younger sister as a small teacher; Younger sister’s pronunciation is more standard and will be promptly corrected when her sister’s pronunciation is wrong. The class is also full of joy because of the two small and lovely girls. The parents of Amira are school founders starting from preschool to middle school. In their curriculum they included Music & Arts, Physical Education & Dance and Languages (German, English and Chinese) as different codes of communication. In 2008, Amira started learning Chinese with her mother when she was 3 years old. Together they enjoyed learning Chinese nursery rhymes, poetry and calligraphy. 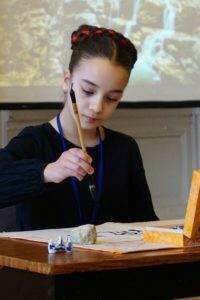 In 2011, the whole family moved to Chengdu where Amira, her sister Anais, 2 years old at that time, and the parents continued with learning Chinese. When associating with Chinese people, they can always be cared and loved by people around them. Therefore, the sisters are very interested in contacting Chinese people and learning Chinese culture. 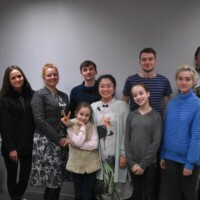 Then, the family moved back to Berlin, Germany and later in 2015 to Riga, Latvia where Amira & Anais continued learning Chinese at the Confucius Institute of the University of Latvia. In 2018, both sisters speak German, English, Chinese, Russian and Latvian. They have always made positive learning experiences with the communication in the different languages. Thus, both have enriched their cultural knowledge and made friends of various cultures. The excellent sisters took part in the 15th Chinese Bridge Competition in Latvia this year. 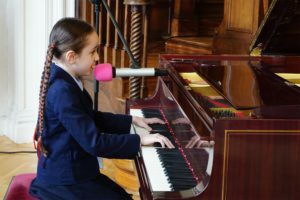 Amira won the second place of intermediate level of teenager’s group and Anais won the first place of advanced level of children’s group. They understand we are one world one family!